It is Located 30 km from Berhampur and 6 km from Chhatrapur, the beach at Aryapalli is quiet and charming where the waves speak volumes. Its bracing and invigorating climate adds freshness to the soul. A nature-loving tourist can enjoy the sun, surf and sand amongst the green casuariane plantation, far from the madding crowds. The beach presents an opportunity for you to spend some quality time in the lap of the nature while hanging out in the sun, surf and sand amidst the green casuarinas plantations. Nature lovers love to visit the place and for providing them better accommodation, a line of Aryapalli Beach Hotels are available in the region. These Aryapalli Beach Resorts are equipped with all the modern amenities, all for the full satisfaction and comfort of the visitors. 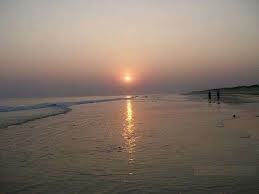 Beaches in Aryapalli are popular for providing the nature-loving visitors with a revitalizing sunbath. You are going to get fascinated by the mesmerizing color-play in the sky during sunrise and sunset, right from the beach. You can use Chatrapur Railway Station, lying just 8 km from Aryapalli, to reach the destination. Aryapalli can be easily reached by well-maintained roads that are well-connected to the National Highway (AH-45).The best time to visit Aryapalli Beach is October to June. Aryapalli is at its peak during winter and summer as various fairs and festivals occur during this season. To complement the serenity that the place offers, bring on a novel or music players to double-up your enjoyment. Shopping is the biggest activity during peak season so ensure your pockets are well loaded for those beautiful handicrafts!